Congratulations on your engagement! Now it’s time to celebrate at Lansing Center! Situated on the banks of the Grand River in downtown Lansing, Lansing Center offers a unique setting for your special day. Lansing Center is a premier reception and banquet facility, featuring the elegant ballrooms that offer a formal setting for dining and dancing; the picturesque Riverfront Gazebo for an outdoor ceremony or reception; the River Street Pub and its panoramic river views; and the Governor’s Room, overlooking the Capitol dome and the Grand River. Whether you are planning a grandiose celebration or have something smaller in mind, Lansing Center has the flexibility to provide a wedding reception environment that fits your personal needs. At Lansing Center, you will find our award-winning chef, as well as experienced staff and skilled coordinators ready to assist in making your reception the special celebration you envision. If overnight guest accommodations are necessary, Lansing Center is conveniently attached to the Radisson hotel via an enclosed walkway over the Grand River. Take your wedding reception to the next level with our decor packages and enhancements. 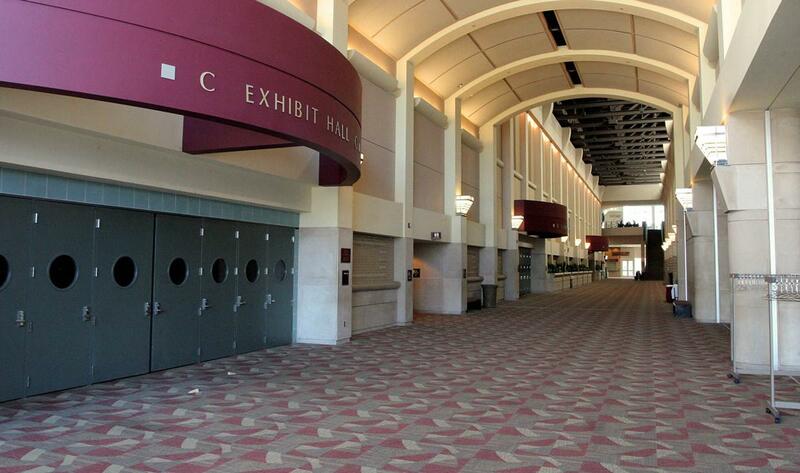 Browse photos of weddings and receptions previously held at the Lansing Center.